In website/portal layout designing my pro freelance team can offer you superb look and feel that match your taste or business nature. We have been in this process of website layout designing for more than a decade. So I know how to create layouts that match client’s requirements, a glamorous presence with professional look. Whatever is nature of client’s business; we provide our artistry with client’s requirement. Right from choosing proper shades, graphical elements are enriched with several required affects. For better online presence, you need to have a beautiful design. Once you have consulted me, you can get the best effective web designing services. I have been working as a freelance web designer and also have a team of professionals who work as skilled web designers. You can get complete design services from me. 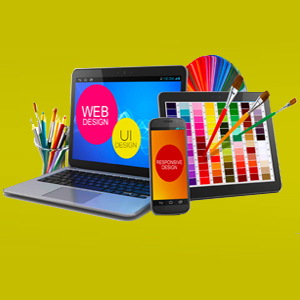 For attractive and purposeful web designing, you only provide me your basic requirements and I would provide the best and unique output in the form of web design. Shirsendu.com offer services like Template design, CMS font design, Virtual Shops & eCommerce sites design, Presentation Websites design, Online Catalogs design, Portal Design etc. I and my team of professional web designers are always ready to offer you the best design solutions for better online presence or presentation of any kind. You can ask for freelance web designers who would work for your business purposes or dedicate to work as your personal web designer. You come with idea and I will sketch the right design that attracts the onlookers and serves the purpose of creating a beautiful design. So to enjoy any sort of your web designing need, I and my team would be more than happy to help you with designing services for creating successful online presence or promotion. You never have to think on the affordability of my services because being a freelancer I ask for most affordable pricing for my services. Feel free to consult me.